Batteries power our phones and computers and increasingly our cars and homes. 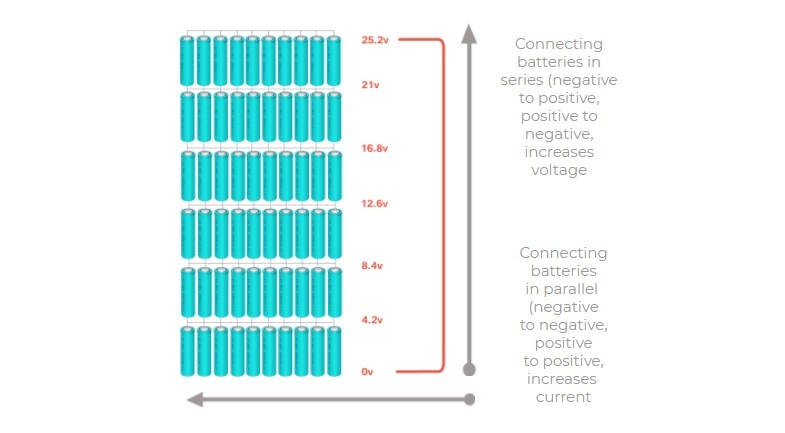 There are many types of batteries and battery chemistries available but Lithium-ion batteries have increasingly become the battery of choice. But why Lithium, exactly? What makes this element so good for batteries? Let's find out! useful for batteries. Lithium is the lightest of the six Alkali metals, has the greatest electrochemical potential, and provides the largest energy density for its weight. 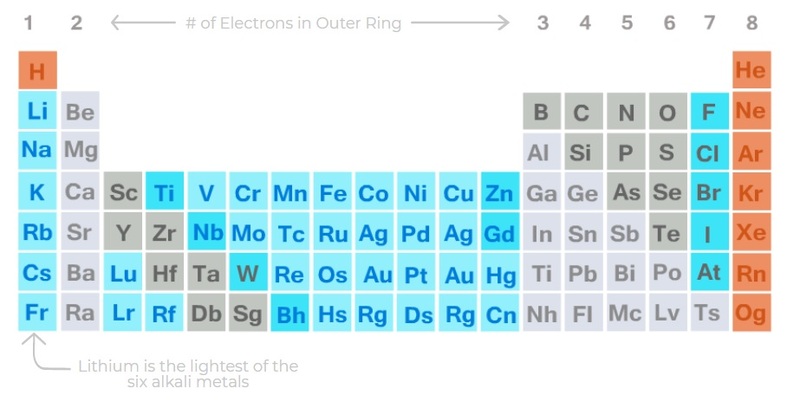 Like all Alkali metals, Lithium has one electron in its outer ring. Lithium is eager to lose this electron and bond with other elements. Batteries produce electricity as they are discharged and electrons flow from the anode to the cathode via your device or appliance. 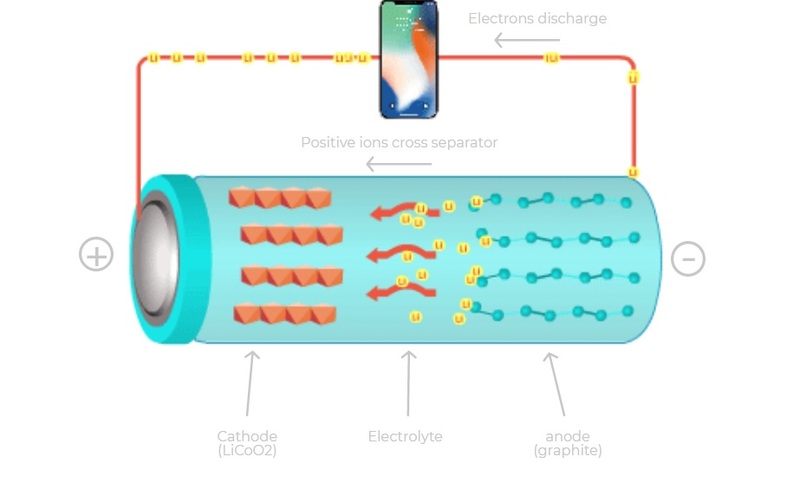 At the same time, positively charged ions flow from the anode to the cathode via the separator. When batteries are charged, this process is reversed.In Lithium-ion batteries, the cathode is made of Lithium cobalt oxide (LiCoO2) and the anode is made up of graphite (carbon). One lithium battery cell can’t power very much on its own. 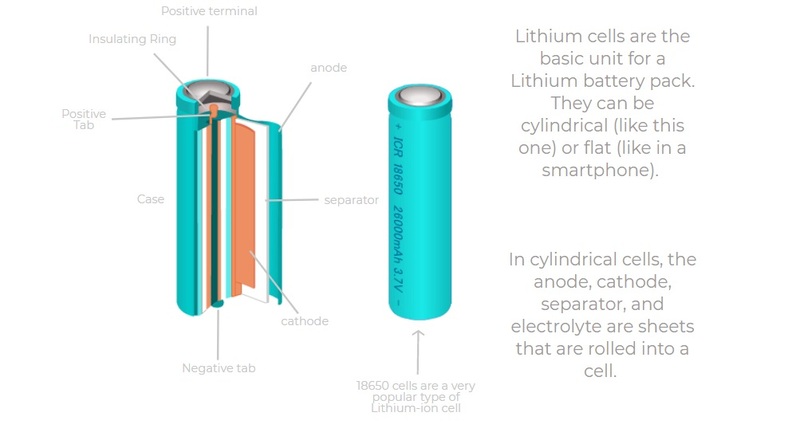 This is why cells are combined together, in series and parallel to create a battery pack. This allows it to power things like cars and homes. Lithium coming soon to your cars and homes! Lithium battery packs are seen in electric cars like the Tesla Model 3 and Nissan Leaf and also provide back-up power to homes through the Tesla Powerwall or Sonnen Batterie. They are poised for rapid growth as Lithium battery costs continue to decline. Thanks to PowerScout for the deep dive into lithium. Want to compare multiple quotes for all your smart home improvement projects like home solar? Hop over to PowerScout and say hello.